I wanted to get one challenge in this week - since tasked with making more Easter cards than I ever remember... but it was fun. I used the Paper Craft Crew Card Sketch to complete a few cards. I used a retired set and papers since I am purging as well! 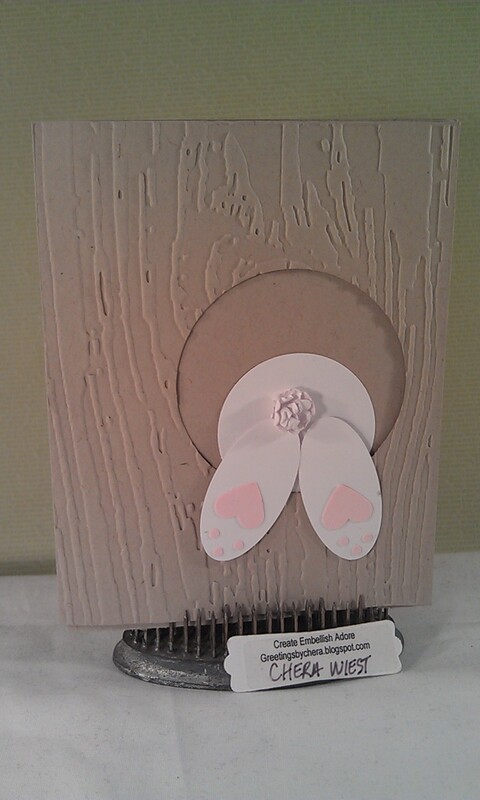 I also made quite a few of these Bunny Behind cards, since I can use them as a masculine card! They are easy! and Fun!!! 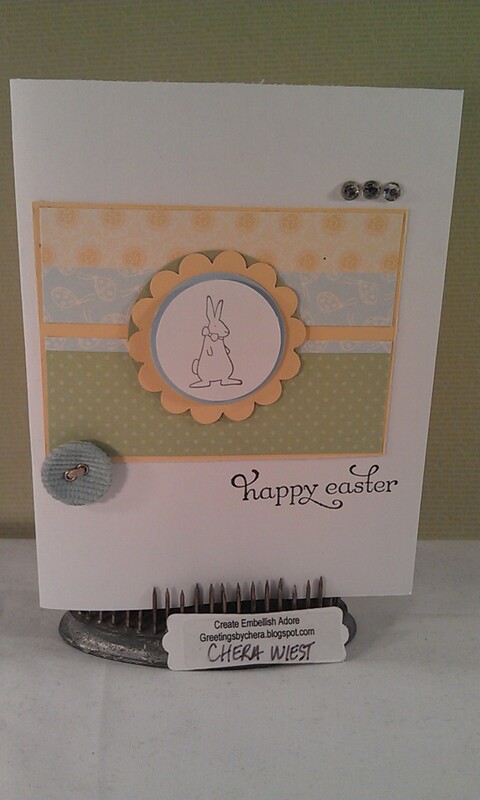 Fantastic Easter cards Chera, love how you've used the sketch and it feels good to purge as well. Thanks for playing along with the Paper Craft Crew sketch challenge. These are so perfect! I have so many of these same supplies - thanks for the ideas, lol! Thanks so much for playing with us at Paper Craft Crew!